This information is brought to you by EvgieNev. All opinions are my own. Are you getting a nursery ready for a new baby boy or baby girl? It is so exciting to get the nursery decorated as you wait for the arrival of your sweet baby. 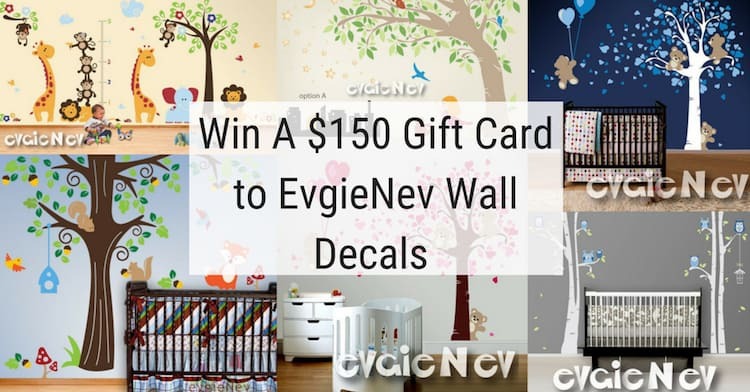 One way to create an amazing nursery is with wall decals from EvgieNev. They have been making wall decals since 2010 and they have over 250 wall decals to pick from. You can even customize the colors to make your dream nursery! Inspired by Valentine and one of the most popular. These bears look like Winnie-the-Pooh Teddy Bears. 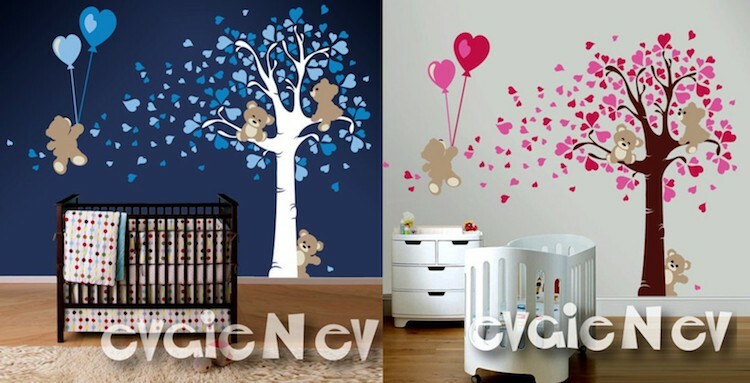 It features four cute teddy bears that are sitting on the tree, and flying on balloon with color combination of Pinks for Baby Girls and Blues Baby Boys. You can pick any other colors from our color chart. This Safari Wall Decals theme is one of very popular in the collection of Jungle Wall Decals and Nursery Wall decals including all favorite Monkeys hanging on a tree, standing on each other – 5ft growth chart! Removable Sticker is made using Top-Quality Matte Vinyl. They feel like they are smoothly painted on the wall after the application but they are easily removable should you choose to redesign. Perfect to decorate and add your personal touch to any space, switch themes in child’s room. Just peel and stick, it’s so easy! Included FREE test decal! They are completely customizable! They have many themes and you can change out the colors! This giveaway ends on September 13 1159pm EST. Obsessed with the safari wall! I would like to get the Jungle Safari Wall Decals. I would get a growth chart or custom order.